High tech, easy to use. It is not another log book that counts mileage. 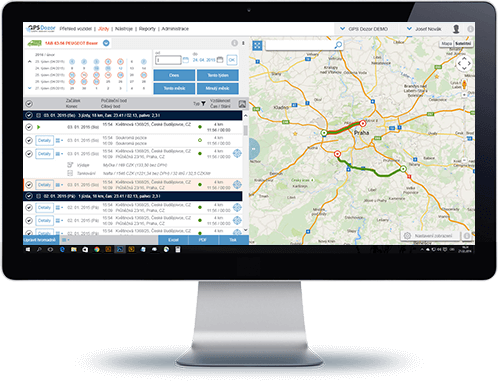 Satelon tracking platform is a perfect tool that brings efficiency and certainty to your fleet management. Nothing less. When working with our platform, the screen always shows the list of vehicles and trips, while at the same time never hides a map for quick reference. The map interacts with data selection that you make in the list. And it works the other way round, too. No more handwritten logs. 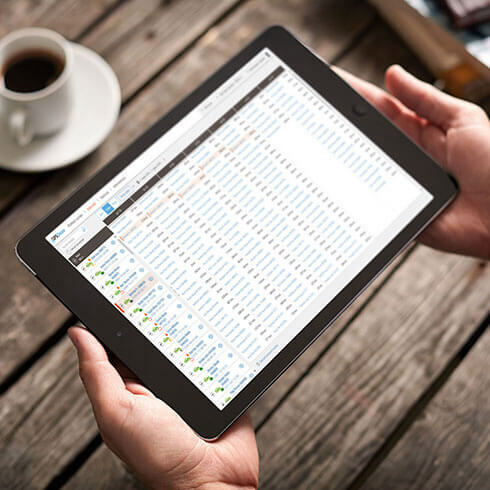 Our electronic log book collects all data automatically. Need printed reports? Deeper data analysis? Precise online maps? You got it. Where are all my vehicles at this very moment? That's what you know in an instant, right on the main page of our system. The map says it all at a glance. The calendar tells you everything you need about all your vehicles at a specific time selection. You can easily see who was late at work yesterday or who used company car for a weekend camping trip. 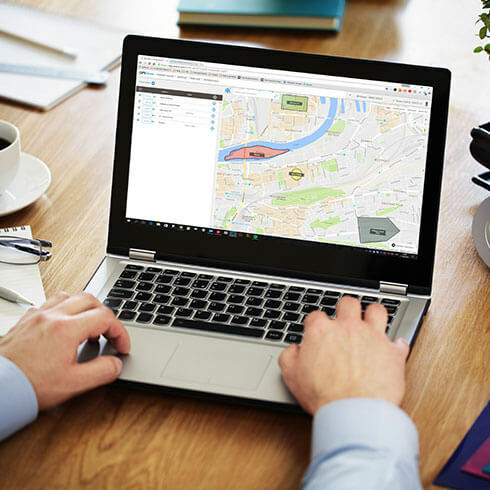 Our GPS tracking system is available as an designated app for all mainstream smartphone platforms as well as an web app suitable for any web browser. 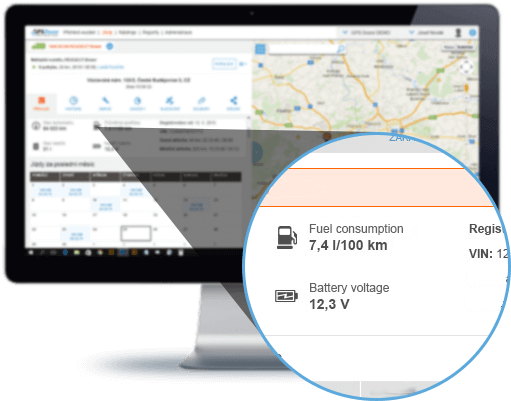 Our tracking platform is automatically checking fuel consumption of all vehicles. Along with the gas bills you have control over your fleet's fuel costs. And a powerful tool for identifying fuel theft. Can you tell, who is behind the wheel of each of your company vehicles? We can. It only takes a RFID or Dallas chip. The rest is done automatically by our tracking platform. Log books and other documents. Sophisticated reports, both printed and in different data formats. 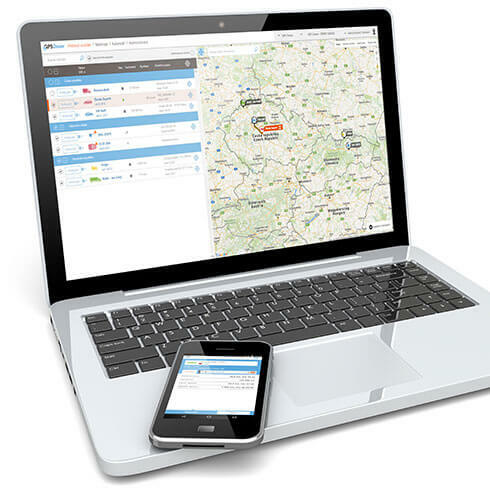 API for external ERP, human resource management and fleet management systems. With us, you can have it all. Satelon saves fleet running costs in various ways. Apart from identifying theft and abuse, it also evaluates individual driving style of the employees. By decreasing bad driving habits, you can save running and maintenance costs. Select an area on a map. If any of your vehicles cross its boundaries, you will know. Set points of interest on a map, name them (warehouse, HQ, etc.) and make trip management easier. Never miss anything important. Schedule service checks or oil change according to mileage. Set up specific date, if you need to. Receive an alert when your vehicle crosses borders. With a variable and intelligent tracking platform, you can do much more than meet the eye. Satelon allows you to perform deep analytical insights with its data. There is always room for pushing your costs a little lower.